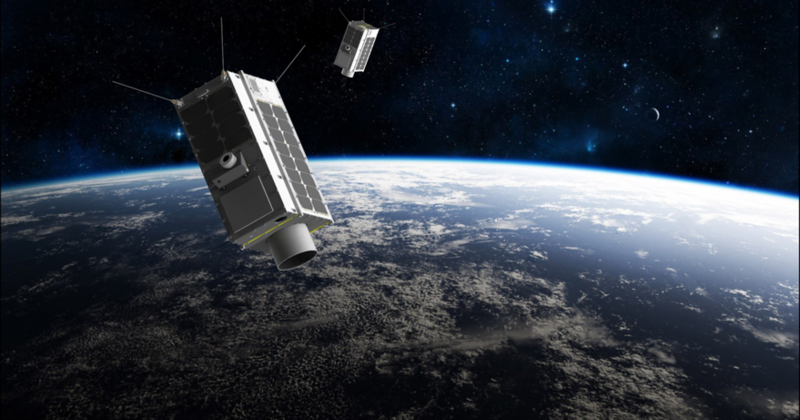 SAN FRANCISCO — GHGSat of Montreal is accelerating plans to build and launch greenhouse gas monitoring satellites in response to strong market demand and the success of its first space-based sensor. GHGSat launched its first satellite, GHGSat-D, in June 2016 on India’s Polar Satellite Launch Vehicle. The demonstration satellite, also known as Claire, is a 15-kilogram microsatellite built by the University of Toronto’s Space Flight Laboratory with two spectrometers developed and manufactured by Montreal-based MPB Communications. GHGSat’s parent company, Xiphos Systems Corp. of Montreal, a firm that specializes in adapting terrestrial computers and networking technologies for harsh environments, supplies GHGSat’s avionics and ground systems. Government agencies in China, Europe, Japan and the United States gather data on greenhouse gas emissions via satellite but their spacecraft are not designed to measure the output of specific industrial facilities. GHGSat-D is. It produces imagery with a resolution of less than 50 meters per pixel, said Adam Pinsky, GHGSat marketing coordinator. GHGSat plans to launch its second satellite, GHGSat-C1, this summer on an Arianespace Vega rocket rideshare mission and a third satellite, GHGSat-C2, in the first half of 2020. GHGSat expects future satellites, including GHGSat-C1 to produce imagery with a spatial resolution of 25 meters per pixel, Pinsky said by email. “We have a whole bunch of customers lined up to see those results,” Germain said. Early customers include Canada’s Oil Sands Innovation Alliance, an industry consortium focused on reducing the environmental impact of mining the petroleum-rich sand. Canadian hydroelectric power companies, Hydro Quebec and Manitoba Hydro, also purchase GHGSat data. In the oil and gas sector, GHGSat works with Imperial Oil, Shell Canada Natural Resources Ltd. and Suncor Energy. GHGSat has raised $20 million to date, including $10 million in a Series A2 funding round announced in September 2018. Recently, the company began soliciting investment for its Series B round. Germain declined to say how much money the firm plans to raise. Many government agencies, corporations and nonprofits have announced plans for satellites to monitor greenhouse gas emissions. Recently, the Environmental Defense Fund awarded contracts to Ball Aerospace and Space Systems Loral for a satellite to track methane emissions.